This seems quite an easy enough task, but that's where it can become frustrating. With so many changes Facebook is making to its interface, it is also changing the way other applications interact with it. 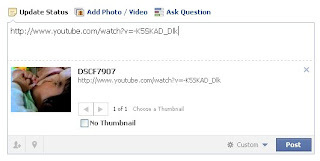 YouTube, for example, has a Facebook button right under the Share options. 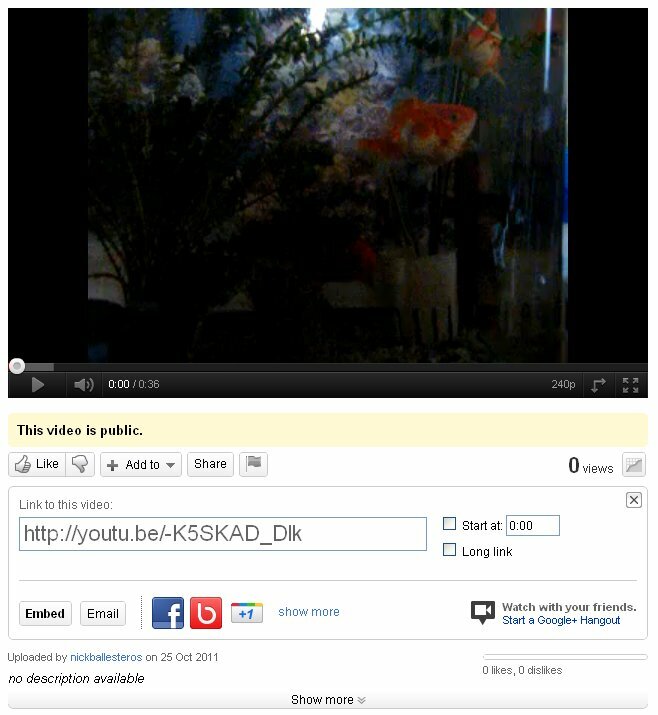 But when you use this, what comes up in your profile is only the url and not the video itself. I discovered by trial and error how to circumvent this. And this one works now; who knows, it won't work in the next Facebook facelift? But until then, on to this very easy method! As I mentioned earlier, the Facebook share button does not really work as expected because it merely displays the link on Facebook and not the video itself. So what you do first is click 'Share' and you will see YouTube's url shortening service at work. To the right of this url is a checkbox for 'Long link'. Tick this. The shortened url will then be transformed into the full address for this video. Click inside of this url box and copy this link (Ctrl-C for PC, Cmd-C for Mac). Go to your Facebook Wall and click 'Update Status'. Paste the url into the status field. Wait for a few seconds, and the display will update itself to show the video window. You can then change the address you pasted into a more descriptive title if you wish. Then Post. The result is a Wall Post with an embedded video you can play directly from within Facebook. THANK YOU VERY MUCH for this post! So useful! Thank you!